Jonathan trained at the Royal College of Music studying flute with Graham Mayger and piano with John Barstow, gaining A.R.C.M. and G.R.S.M.(hons). He was subsequently awarded a French Government Scholarship to facilitate a year’s advanced study in Paris with Michel Debost (then 1st flute with the Orchestre de Paris). As a performer, he spent a number of years as Assistant Principal Flute in the Hallé Orchestra. Since leaving the orchestra, he has worked on a freelance basis with with many orchestras and ensembles throughout the UK. 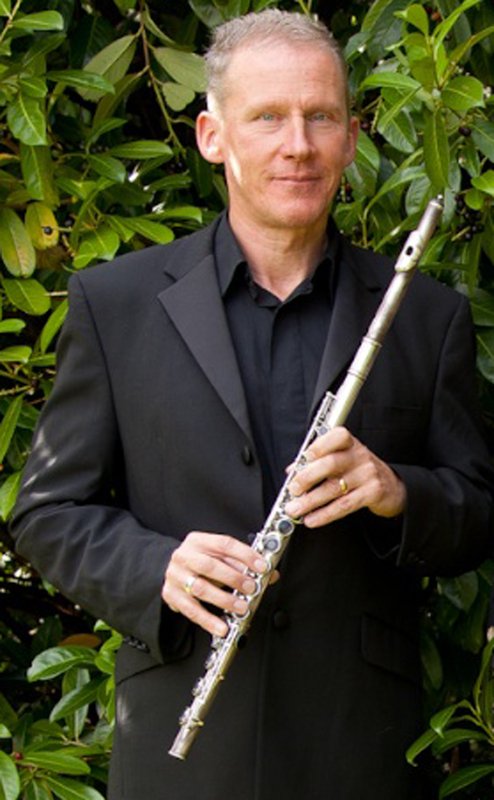 As a chamber musician he has given recitals throughout England and Wales with Free Trade Winds wind quintet and more recently with the Flute, Viola and Harp trio, Trio Fauve. Jonathan specialises in teaching adults and advanced young players, a number of his pupils having gained places as undergraduates and postgraduates at major music colleges such as the R.N.C.M., Birmingham Conservatoire and Trinity College.